Due to Severe Ransomware Attacks in All Over the World, it’s now essential for every Online Users to Protect their Files and Data from being Hacked or get anonymous control over it. This Ransomware Virus or any other Threats enter your Computer from the Internet while you surf or download anything. So having a Better Antivirus or Firewall is must nowadays. Let’s kick off this new year, 2018 by protecting our Computers, Mobile Phones or any other devices from Unwanted Data attacks, Adwares and Viruses. There are lots of Antiviruses available online, but not all can be trusted. What if I tell you that some antiviruses are themselves a Virus? Well, that might be the case sometimes. So how to Identify such or choose best available antivirus? Here we are listing Best Top 10 Antivirus and that too Free Antivirus for 2018. Yes, the list below will include Free Antivirus means you don’t have to pay a single Penny to Protect your Computer Data or Files from Viruses or getting corrupted. So let’s see the list. Note: We will update this list regularly and may add any new Best Antivirus to the List. So Bookmark this page and Check here regularly. CHECK OUT: Service Host Local System using all your resources? Fix Now. So here we go with the list in Descending Order from 10th to 1st Best Free Antivirus 2018. 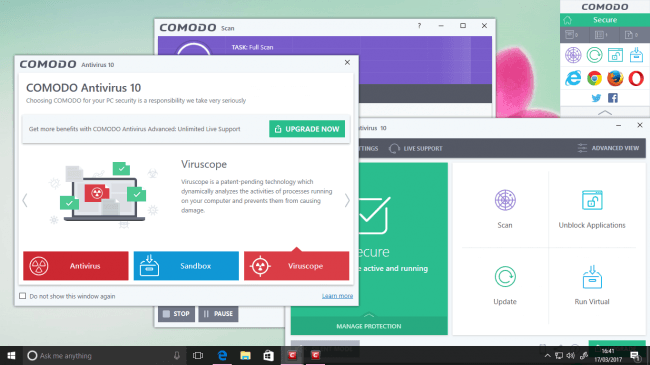 Comodo Free Antivirus is one of the Free Antivirus for 2018. It’s tested and used by lots of users, but as it is free, it comes up with lots of Banner ads popping up once you install. Hence it’s in our last position. But be assured, it will protect you from Malware, Viruses, Trojans, etc. So if you are less Internet Addict or Play Games a lot, then you can opt for Comodo Free Antivirus 2018. You can Download Comodo Free Antivirus 2018 by clicking the Download Button. 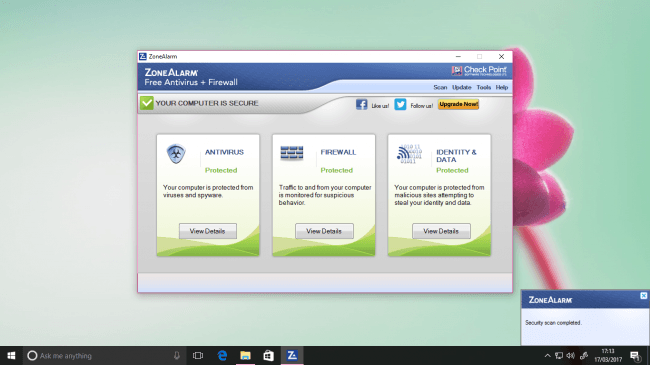 ZoneAlarm Free Antivirus is All-in-One antivirus with active Firewall. It protects from unwanted programs, viruses, Trojans, etc. by blocking them. It’s one of the Best Antivirus for the year 2018, tested and works great! It also includes Anti Ransomware Feature which will protect your Computer from Ransomware similar attacks hence saving your Needful valuable data and files from getting being encrypted. It’s well laid out, easy to use, and is your one of the good option or alternate for free antivirus. ZoneAlarm Antivirus falls on position 10 in our antivirus list due to some reasons which you will encounter in remaining Top 10 Antiviruses. You can Download ZoneAlarm Free Antivirus 2018 by clicking the Download Button. Adaware Free Antivirus specially protects users from Online threats, viruses, Ransomware attacks, etc. You can go for this Antivirus if you are Online Browsing Addict. It is specially made for Online threats protection, and it has got good reviews too. Adaware Free Antivirus also protects from unwanted advertisements by blocking them. You can Download Adaware Free Antivirus 2018 by clicking the Download Button. 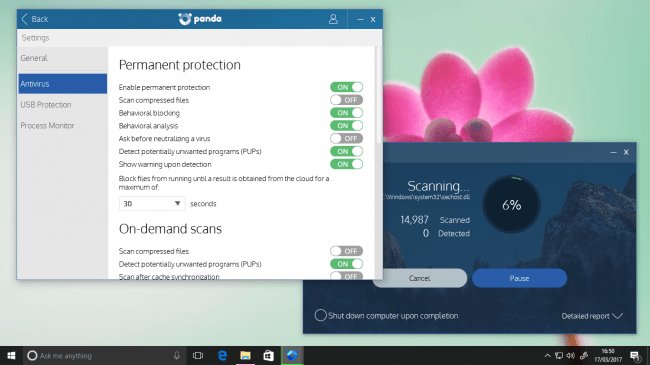 Panda Free Antivirus is again one of the Best Free Antivirus securing 7th Position from Top 10 in our Free Antivirus 2018 List. It protects users from Viruses, Security Threats, Ransomware, etc. while your are are at Work, or Playing Games or Browsing the Internet. Panda Free Antivirus has got good features specially Gaming Mode Protection. So if you are a real gamer, then you need this antivirus which will keep you secure when playing Online Games. You can Download Panda Free Antivirus 2018 by clicking the Download Button. ALSO CHECK – How to Completely Remove Avast SafePrice Extension from Any Browser? 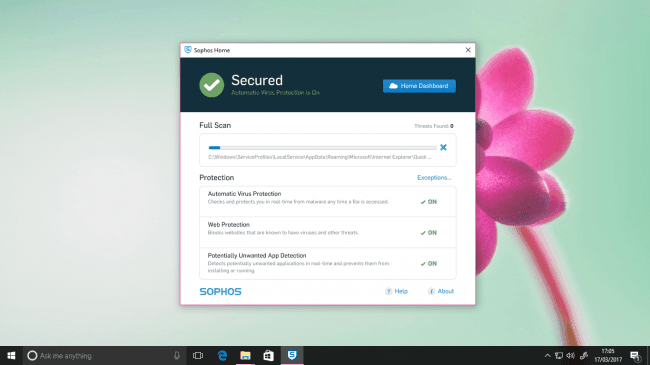 Sophos Home is new Antivirus, and it’s Free too. Well, Sophos Home is especially for those who have more than one computer at home or work. It’s for Network of Computers. It’s more than an Antivirus and best suited for Family. With Sophos home, you get standard antivirus and anti-malware protection, along with browser tools like anti-phishing and, most importantly, content control. What more you want with a Free Antivirus? It’s the best option for Home and Family Computers. You can Download Sophos Home Free Antivirus 2018 by clicking the Download Button. 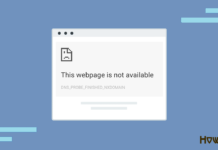 ALSO CHECK: How to Solve DNS_PROBE_FINISHED_NO_INTERNET Error? AVG Free Antivirus has got Great Look and features. It’s Free of Cost. It Has got active Virus Detection and Remove or Block it. Also, it doesn’t take a lot of your Computer Resources and hence seems Light in Usage. AVG comes with All-in-one antivirus and tuneup for all your family’s devices. Block ransomware attacks with Internet Security. Get extra protection against attacks that encrypt your photos, documents, emails, etc. for ransom. AVG Internet Security’s anti-ransomware technology shields your files so your PC can’t be held hostage. 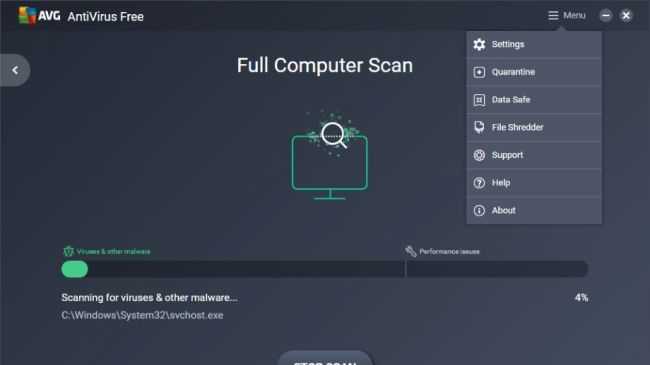 You can Download AVG Free Antivirus 2018 by clicking the Download Button. Avira Free Antivirus 2018 is one of the Coolest Antivirus which passed 99% of Antivirus Tests. Meaning is it was able to detect a lot of famous known Viruses and Remove or Block them. It also doesn’t put a load on your systems hence it’s light. It has got Clean and friendly interface. Comes with Ransomware and Phishing Protection which is the current need for any Online Addict user. The only bad thing about Avira Free Antivirus is that it promotes other Software or Programs along with its Install and sometimes gives pop ups while scanning. 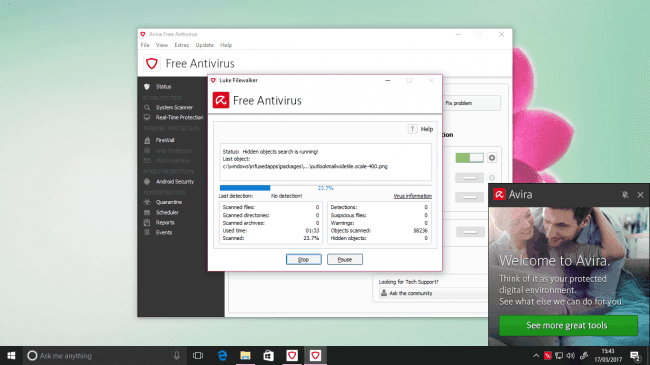 You can Download Avira Free Antivirus 2018 by clicking the Download Button. 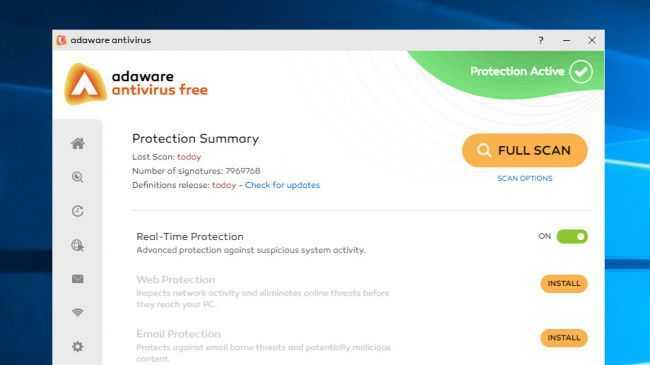 Avast Free Antivirus is once again a One of the Best Suited Free Antivirus with almost all the Features an Antivirus should have. It is in the top 3 position in Best Free Antivirus 2018 list because of its uniqueness and additional features. It has Gaming mode which will block additional unwanted pop ups while you play Games online or offline. It also scores well in AV Tests. It has also got Anti malware and Anti Ransomware. Sometimes has got pop ups oppressive behaviour. You can Download Avast Free Antivirus 2018 by clicking the Download Button. MUST CHECK: How to Remove Avast SafeZone Browser? Bitdefender Free Antivirus 2018 is Light Weight, Clean and Very Handy Tool for any Computer user. It includes Excellent Virus Detector with a clean interface. 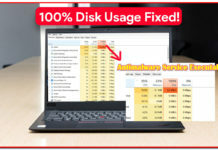 Easy navigations, background processes management, and a cleaner make Bitdefender unique from other available Free Antiviruses. Bitdefender is also updated to protect from latest Ransomware attacks and fight against them without even letting you know. It also protects data from Malware. 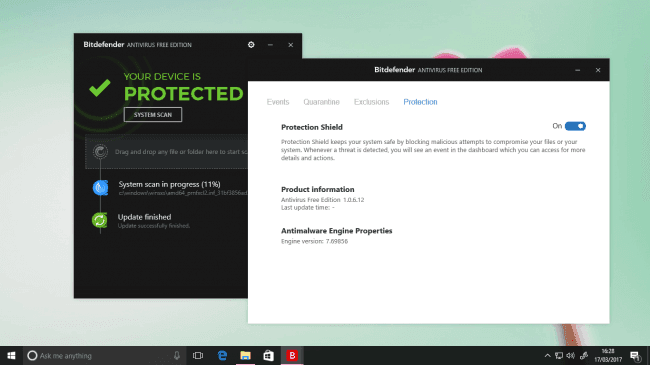 You can Download Bitdefender Antivirus Free Edition 2018 by clicking the Download Button. 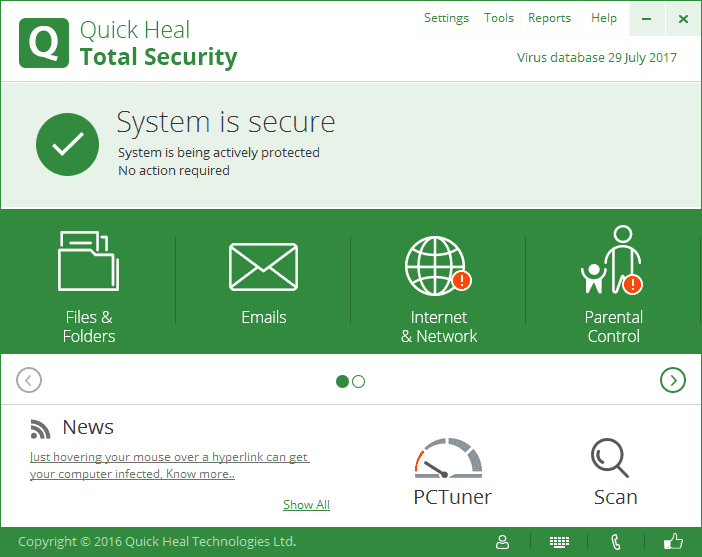 Quick Heal Free Antivirus is Best of all available Free Antivirus. Well, you might be confused with the fact that Quick Heal isn’t Free. It costs you some penny for time intervals. Yes, it’s True. But if you are looking for Best Antivirus for 2018 then it’s one and only Quick Heal. Though it’s not free, you can try it’s 30 Days Free Trial Version. Means you can use Quick Heal Full Version absolutely free for 30 days. This way you will be able to Test and use Quick Heal, a well-known brand for Antivirus free and continue using it if you liked it by paying Few Bucks in regular time interval. I am personally using it from past three years, and it is the Best of all the available Antivirus. It has got Auto Tune Up tool which can do lots of other tasks for you like Cleaning, Duplicate finder, partition cleaner, malware detecting and removing, repairing affected data, and much more. It also comes with Anti Ransomware which will protect your data and files from being Excrypted for Ransom. You can even Schedule Scanning of the full system, boot time scanning and individual file scanning. It has got compelling Fire Wall and Phishing Protection. A must have tool for an Internet Addict. At least give it a try, go for Trial Version and use it for 30 days free. Then if you wish to continue using it, then you will need to purchase its License which is not that costly. These all special features makes it the Best Antivirus amongst all others. You can Download Quick Heal Antivirus Free Version 2018 by clicking the Download Button. So here we listed Top 10 best free antivirus for 2018. The Antivirus listed were tested and checked before adding here. These top 10 Antiviruses passed the AV Test to a great extent and they are handy tools which will serve you best. You can give a try to all of them and check them individually and find your own best Antivirus. 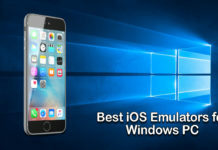 This list if specially for Windows users through some of these are also available for MAC users and even for Android Phone users. 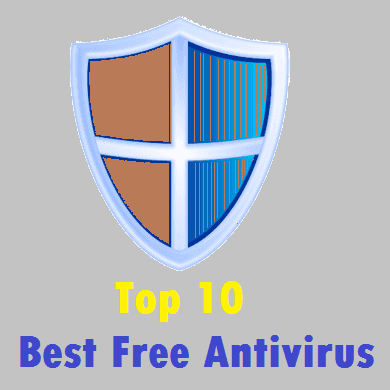 So we can call this list as Top 10 Best Free Antivirus for Windows or Top 10 Best Free Antivirus for MAC or Top 10 Best Free Antivirus for Android. Though soon we will come up with the list for individual platforms. Thank you!